Double Bucket Fix Type Milking Machine that presented by us is designed to make your milk extracting requirement easy. This type of milking machine is most commonly demanded by numerous milk processing providing industries for its easy operation, energy efficiency, minimal maintenance need, sturdy construction and longer service life. 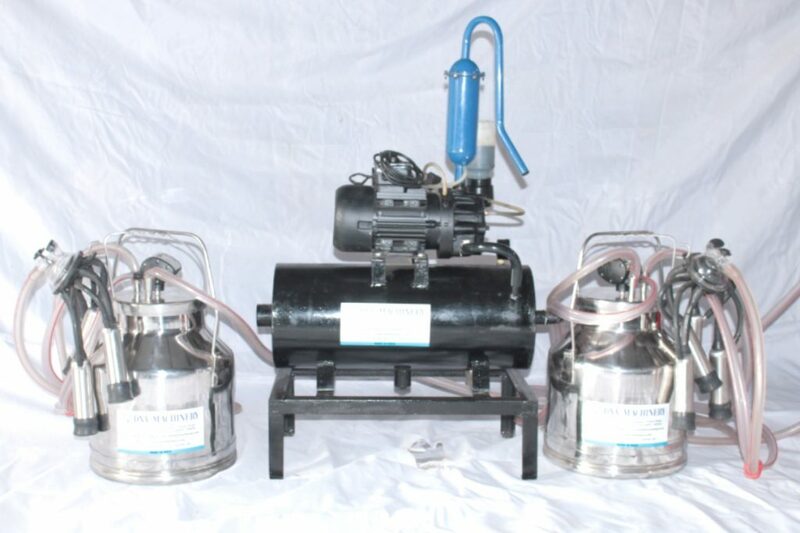 The machine extracts milk from teats of cow & buffalo with high speed by means of heavy duty induction motor, and developed sucking unit. Double Bucket Fix Type Milking Machine is engineered and manufactured by well-experienced engineers with cutting-edge engineering techniques and using top-of-the-line parts & components that make its functioning, efficiency and durability outstanding.